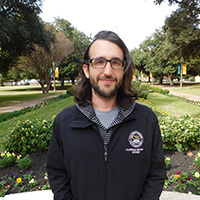 Christopher entered the PhD program at Baylor University in the fall of 2016. He received his B.A. in Political Science and M.A. in National Security studies from California State University, San Bernardino. While at Baylor, Christopher hopes to develop a deeper understanding of East Asian politics and security, political philosophy, and international relations theories with an eye toward their metaphysical justifications.